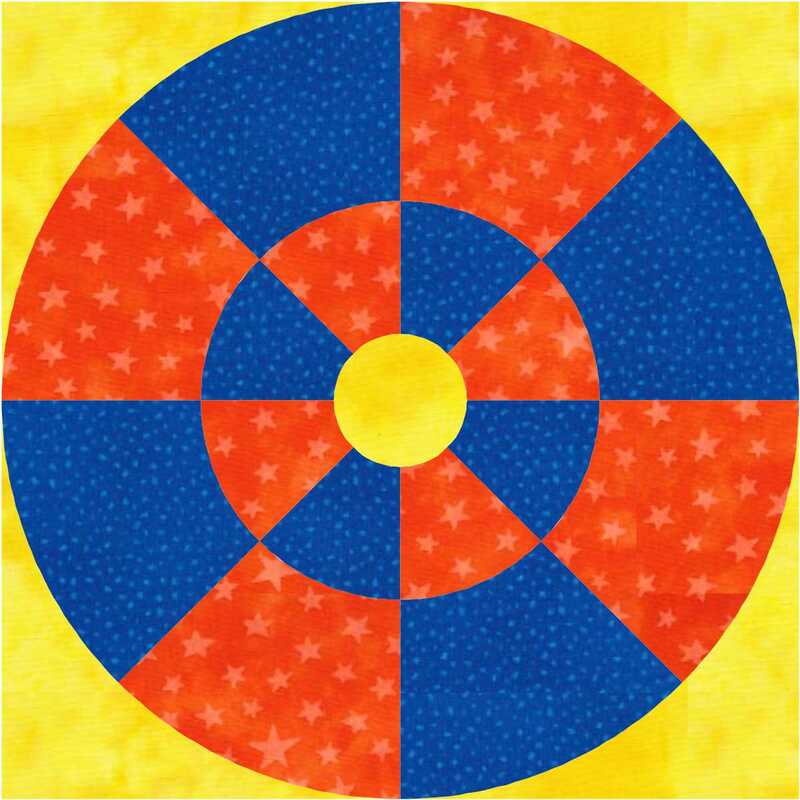 Proportion is one of the key design principles of medallion quilts. It’s easy to understand that proportion is determined by the size or scale of shapes. 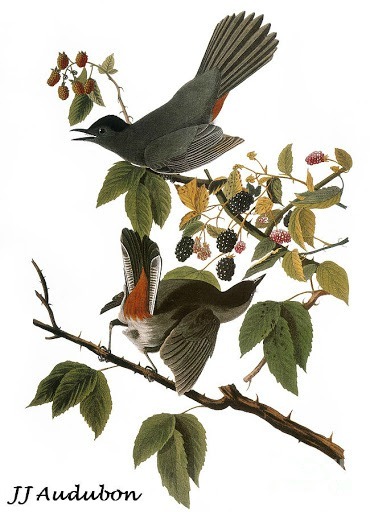 It is also affected by color characteristics, relative value, line, and placement of shapes. In this post I’ll talk about center block size. There are a number of places where size or scale of components comes into play. Scale within the center block, relative size of the center to the whole quilt, and the relative widths of the borders all affect how we perceive the proportions of the quilt. Within the center block, sizes may seem “too big” or “too little.” Take a look at these illustrations of center blocks. 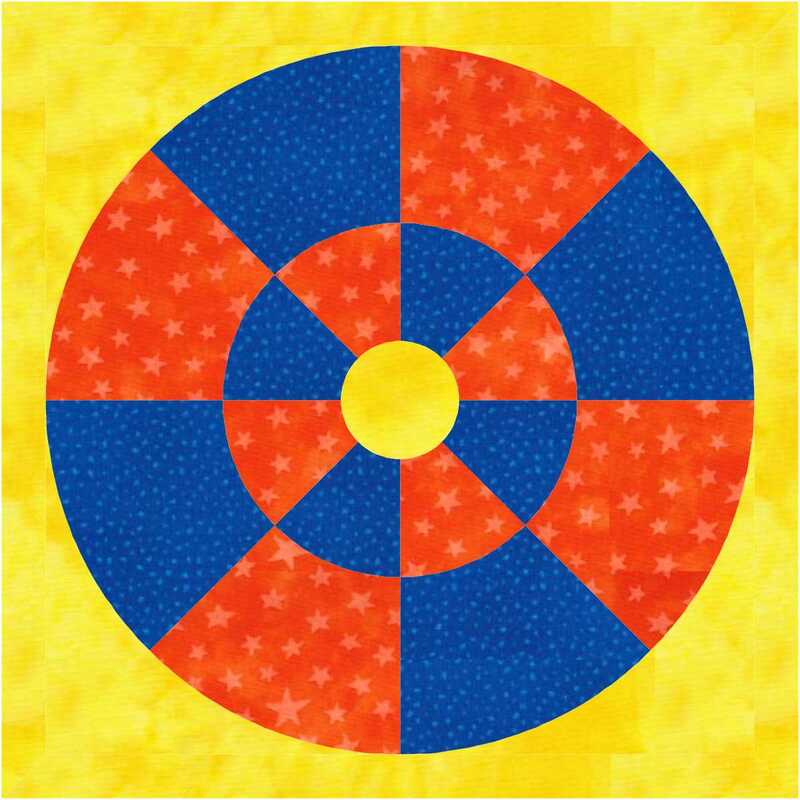 I chose wheel patterns because a lot of modern quilts use Dresden plates, circles of geese, or other round patterns for centers. They are colored the same so you can focus on the size of the design within the square. In the top picture, the circle is tangent to the sides of the square. The size seems to crowd the square, and may seem “too big.” In the second picture, the circle floats in the square and seems “too little” within a sea of background. And just like baby bear’s porridge, the one below, to my eyes, seems “just right.” It is still related to the edges of the square while not touching them. Similarly, the size of the center block as compared to the whole matters. I’ve written before about the size of the center block. 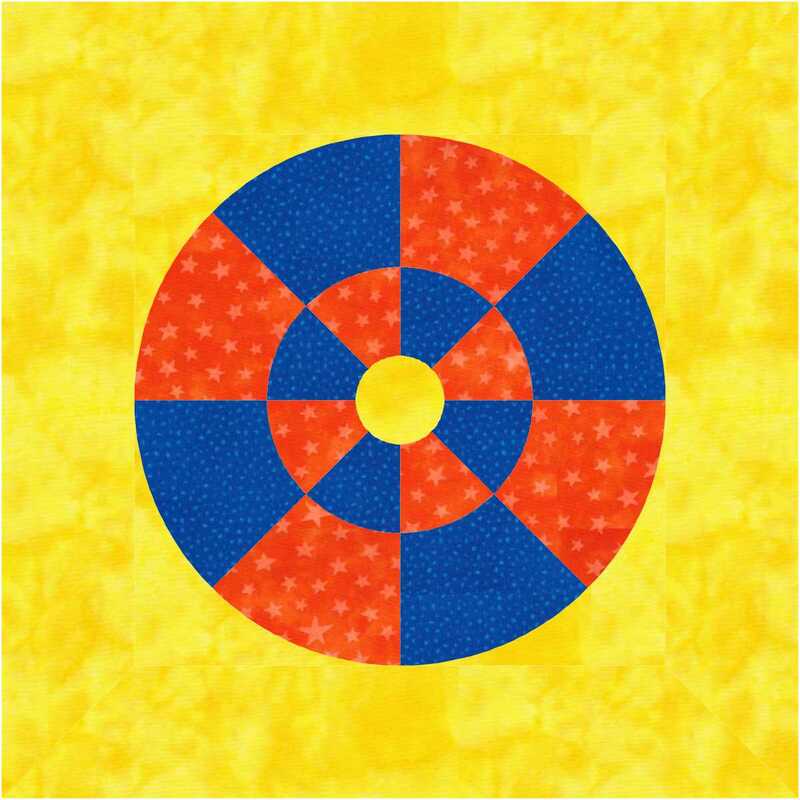 When I study “successful” medallions (meaning, ones I like,) the center block is about a quarter the width of the whole quilt, or even larger. A smaller block tends to lose its importance when the scale is less than that. 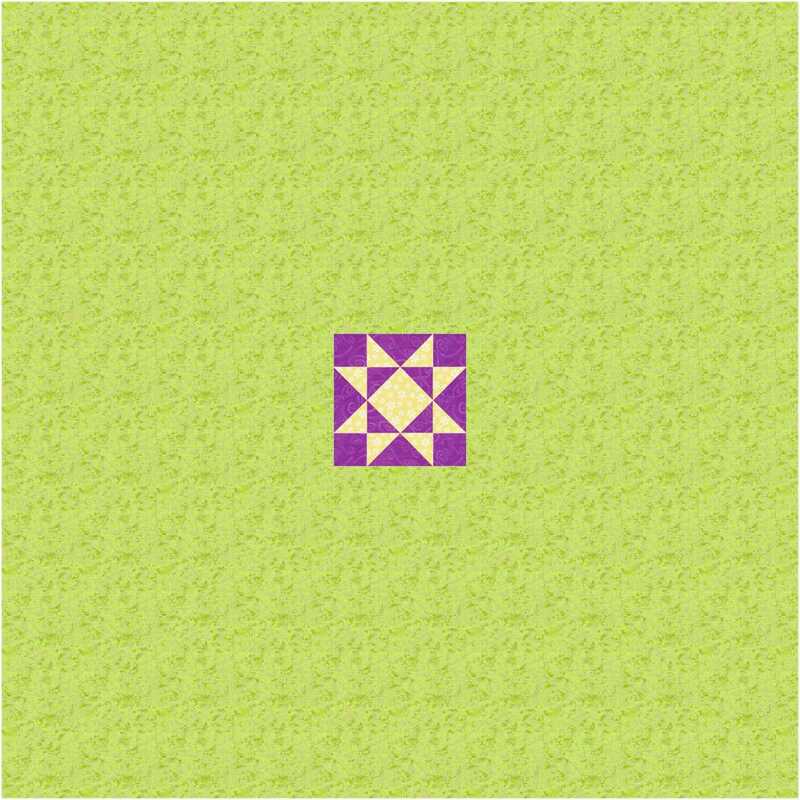 For example, if you have a 15” block, your quilt might be up to about four times that, or 60” wide, while keeping the central block thematically important. 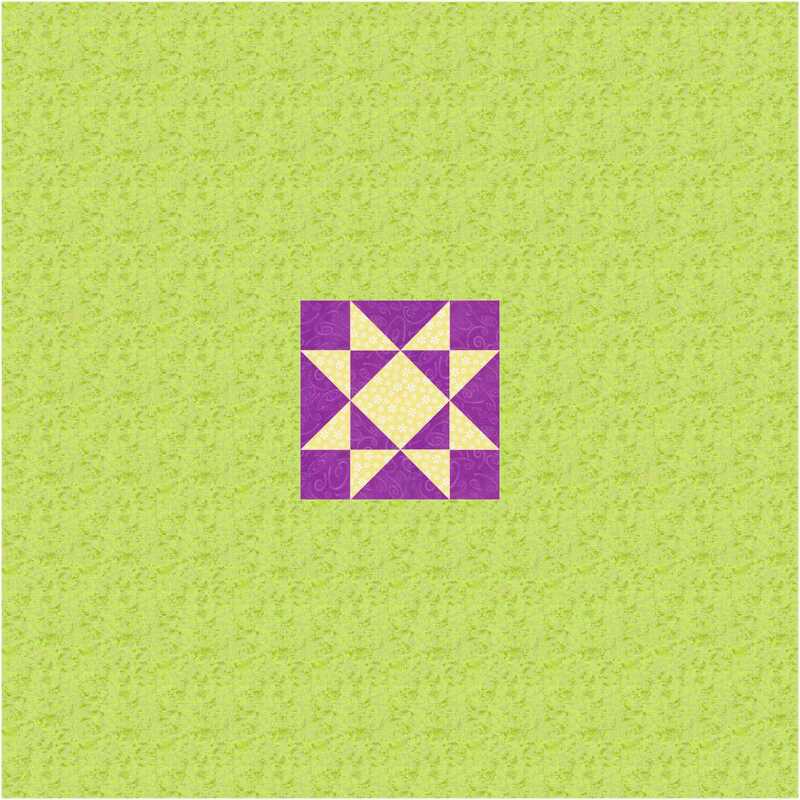 I’ve also seen it suggested that a center block should be approximately half the total quilt width. 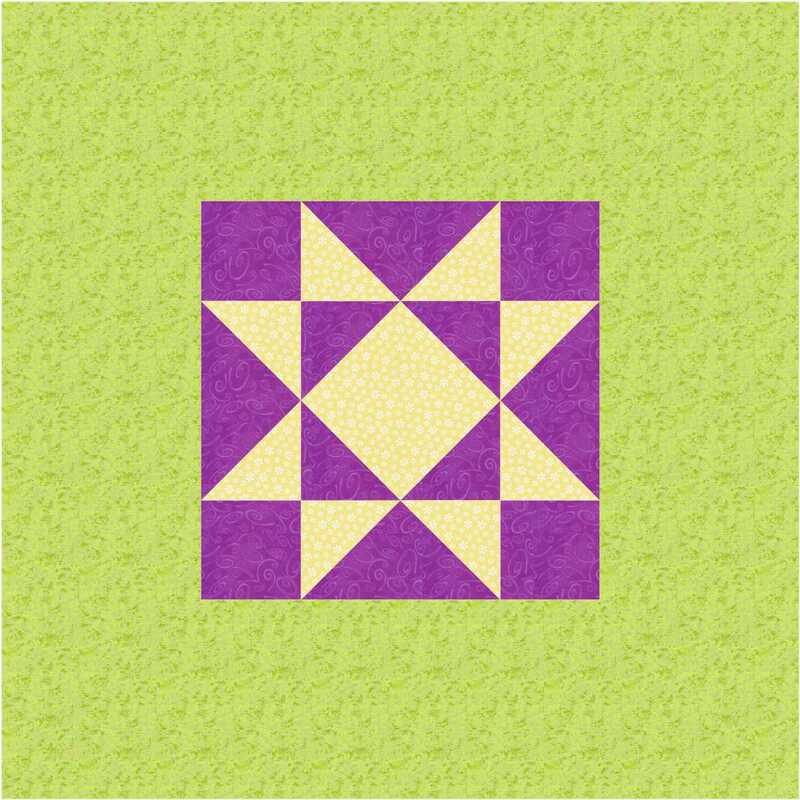 So let’s say an appropriate range for most quilts is from a quarter to a half of the width. Consider the examples below for how the center block size matters to the whole quilt’s proportions. Again, all else is the same so you can notice size. All four of these could work, depending on how they were bordered. However, the two illustrations in the middle (with center blocks at 25% and 50% of the whole) have the most graceful proportions. It is easy for me to imagine borders around either of those. The first picture has a center that is one-sixth of the whole, and the last picture has a center that is 75%. 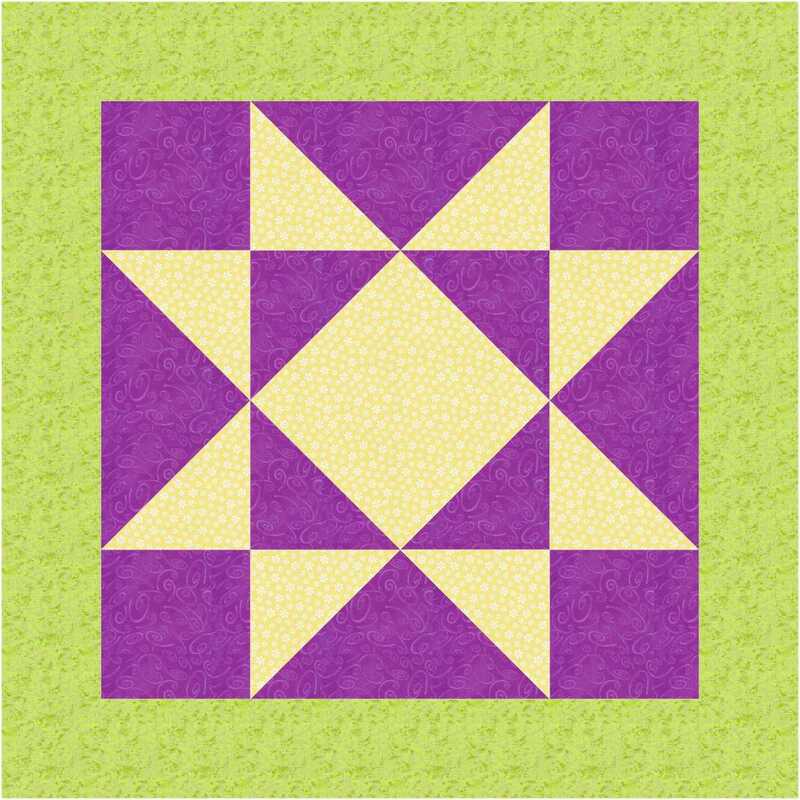 What if your block is too small, as compared to the quilt you want to make? There are a variety of solutions. One is to enlarge it with framing. Another is to turn it on point. The picture below shows that first block, which is only 16.6% of the width of the whole. Turned on point it is almost 24% of the width and has more presence. Next time: more discussion of how your center block affects design proportion. 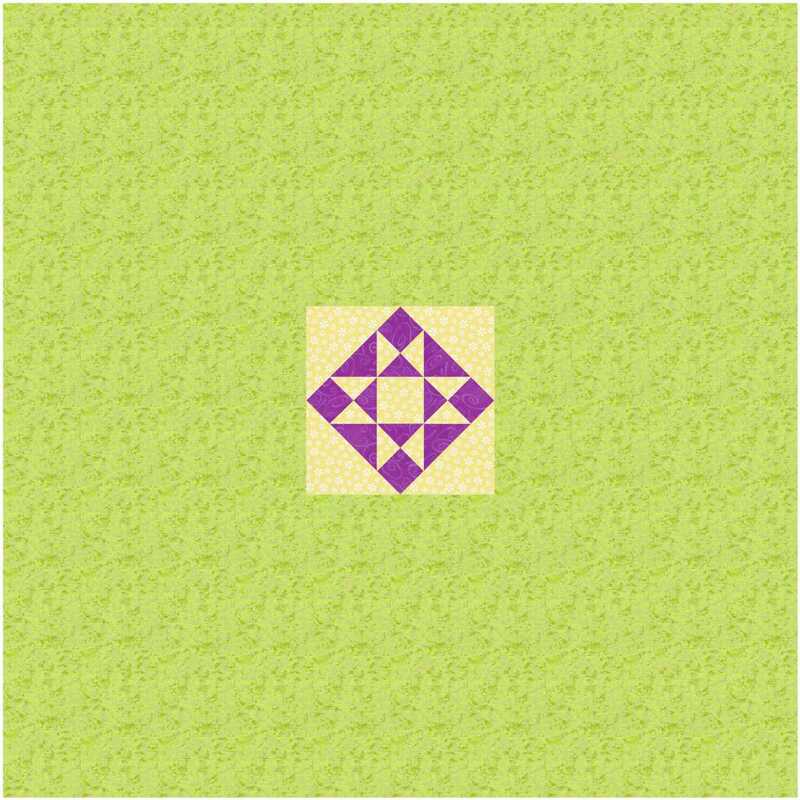 This entry was posted in Medallion Quilts, Quilting and tagged Borders, Center block, Design, Medallion quilts, Proportion, Quilt borders, Tutorial on June 2, 2015 by Melanie McNeil. Thank you for taking the time to write the explanations and prepare the illustrations. I shall be following this series with great interest. I guess experience and confidence work alongside instinct to some degree? Oh yes, that’s a good way to put it.